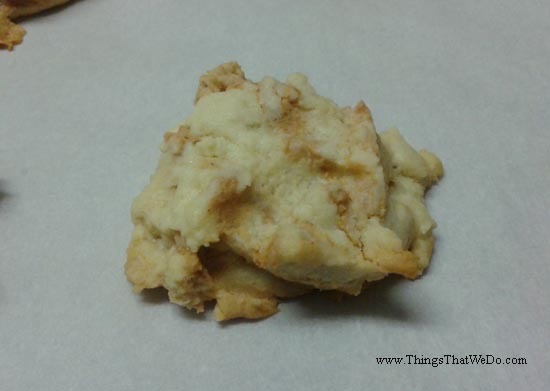 Thumbprint Cookie Dough with a Twist: Peanut Butter cookies, anyone? 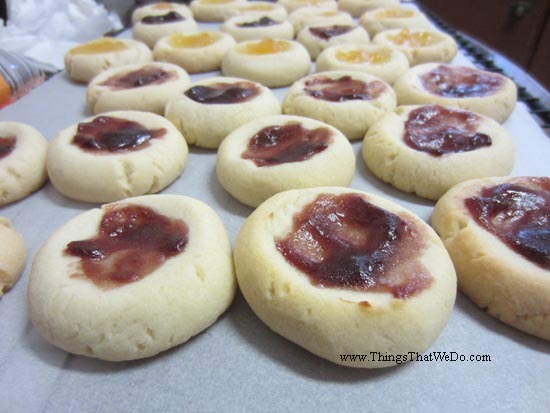 In the early days when I was first learning how to make thumbprint cookies, they looked a little different. 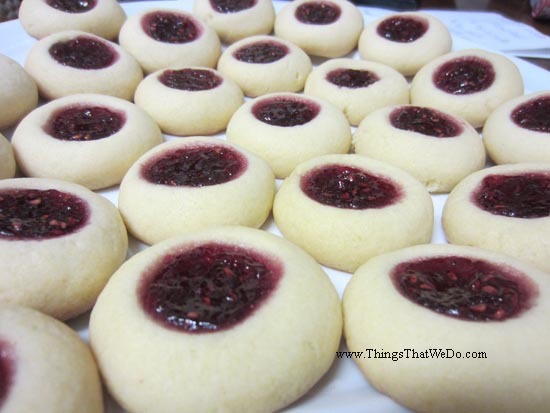 UghI made so many batches that I still get shivers when I make thumbprint cookies. I’ll make them for others and can’t even bring myself to eat them anymore. Well then, what am I going to enjoy while others are chomping on those thumbprint cookies and I’m too lazy to dig up another recipe to throw in the oven? 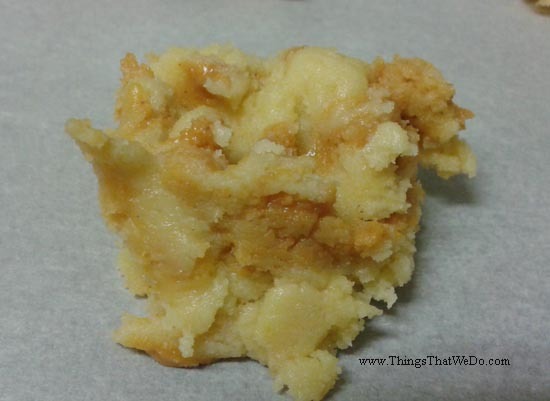 Why not use the same cookie dough and pair it with other ingredients! I have to admit, this is one of my more brilliant moments. Allow me to introduce you to exhibit A: a delicious peanut butter cookie using the original thumbprint cookie dough with peanut butter lightly folded in. You have no idea how delicious these peanut butter cookies were! 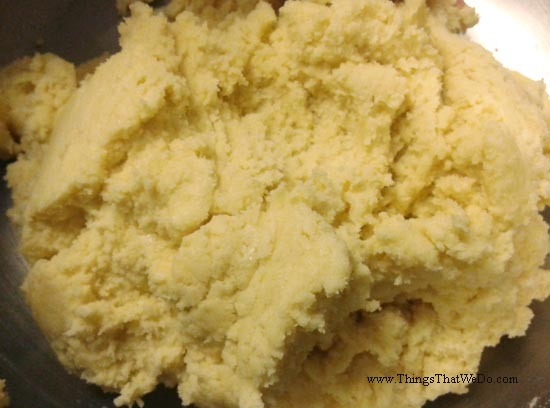 The cookie dough reminds me of shortbread but with less butter. Paired with the peanut butter, it’s just the perfect amount of richness without being too sweet. I’ve provide the recipe below with only approximations for the peanut butter. Since I only used a small portion of the cookie dough, I only needed 2 spoonfuls of peanut butter but you’ll need more if you’re going to make an entire batch! In a separate larger bowl, beat the butter until light and fluffy. Add the sugar and cream together. Add the egg and vanilla and mix. At this point, the dough will be quite thick and difficult to whisk together. 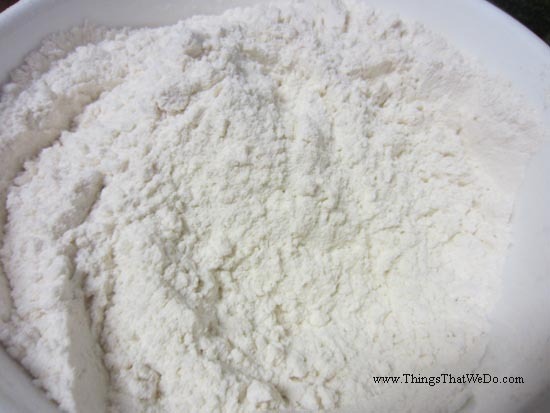 Fold the dry mix to the wet mix with a spatula. 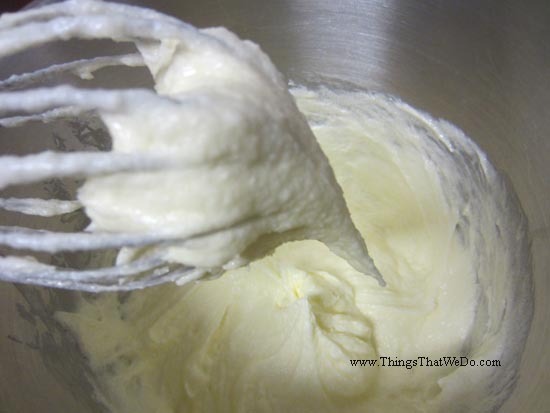 I find this so much easier than using a whisk. When the cookie dough is ready to go, now you have a dilemma on your hands – how much peanut butter to use. You see, I can’t help you with that but I think it will ultimately depend on how much of a PB fan you are. What I have learned about this cookie dough is that it is quite forgiving meaning you can pretty much cram it full of goodies and it will still taste great. My recommendation would be to take a portion of the cookie dough and flatten it a bit in the bowl. 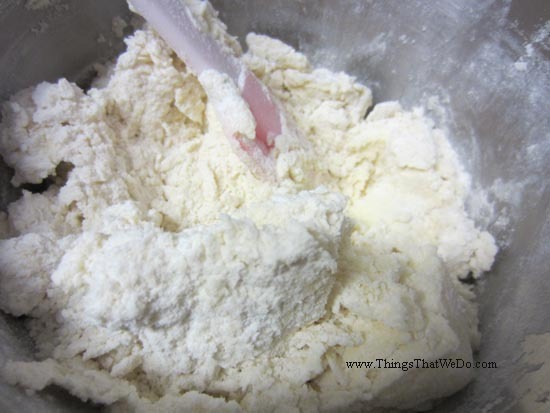 Take a plop of peanut butter and spread it along the inner portion of the dough. Then, fold the dough a few times so a marbling effect takes place but you haven’t actually fully mixed in the PB to the dough. 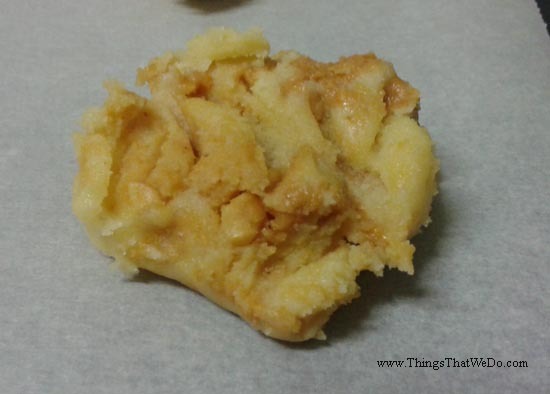 When you feel like you’ve added enough peanut butter, add free form plops of the cookie dough on to your baking sheet lined with parchment paper. Preheat your oven to 350 degrees and place those rustic looking gems in the oven for about 10 – 15 minutes until the bottoms are lightly browned. Lesson learned: I’ve come to realize everyone’s oven and baking sheets have minds of their own. So, while my oven with my baking sheets may give me perfect peanut butter cookies at 10 minutes, yours may need 12 minutes or 14 minutes to get the bottoms lightly browned. If you’re not sure, it’s always better to err on the side of caution and reduce the baking time. Check on the cookies and determine if they need more time or not. Trust me, many burnt cookies later, I’ve had to adjust my timing quite a bit! Take a look at these beautiful peanut butter cookies. They don’t taste like your typical peanut butter cookie where the PB has been blended into the dough itself. Rich like a shortbread cookie (but lighter since there isn’t as much butter in the recipe), peanut buttery, and not too sweet with that lovely toasty scent from the peanut butter, they are just so good! In hindsight, I should have made more but I only had a small lump of cookie dough to start with since most of that dough actually went to making thumbprint cookies.